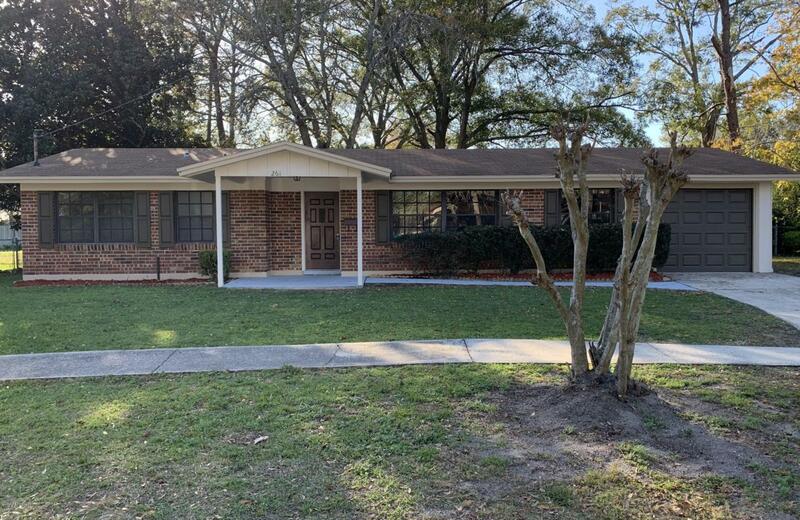 Best Available turn key move in ready Single Family Home in the heart of Orange Park. 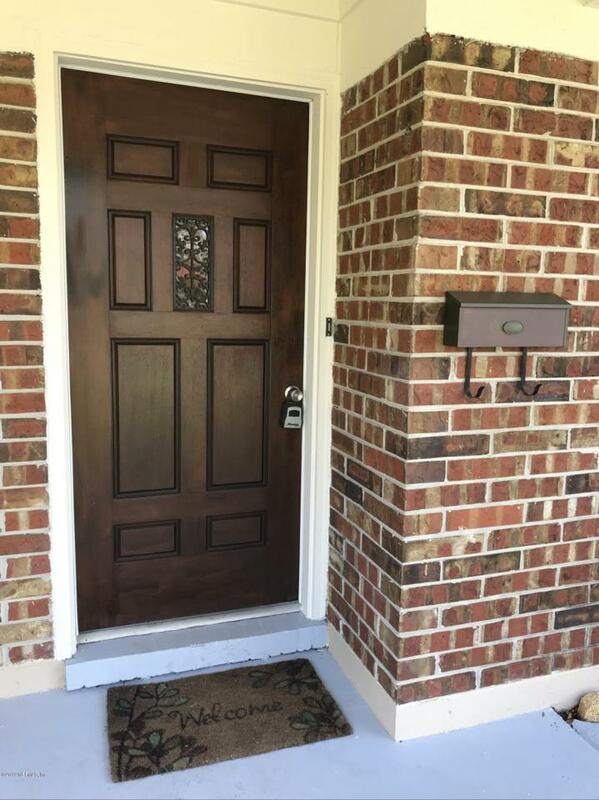 This concrete block home with brick front zoned for Clay County Schools shows like new. 1,437 sq. ft. of living space, 3 bedrooms, 2 full bathrooms, 1 car garage. 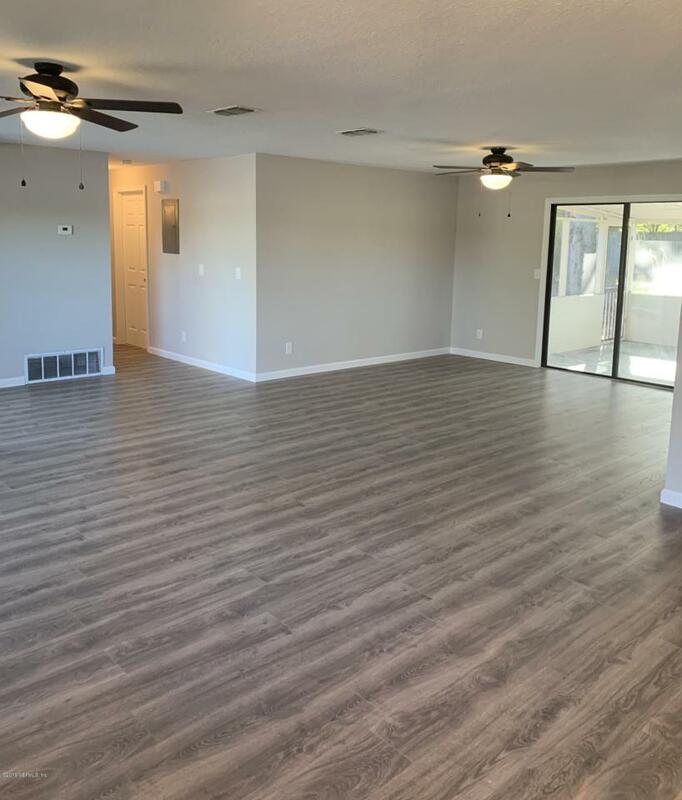 Open floor plan with new water resistant laminate flooring. Freshly painted exterior & interior. 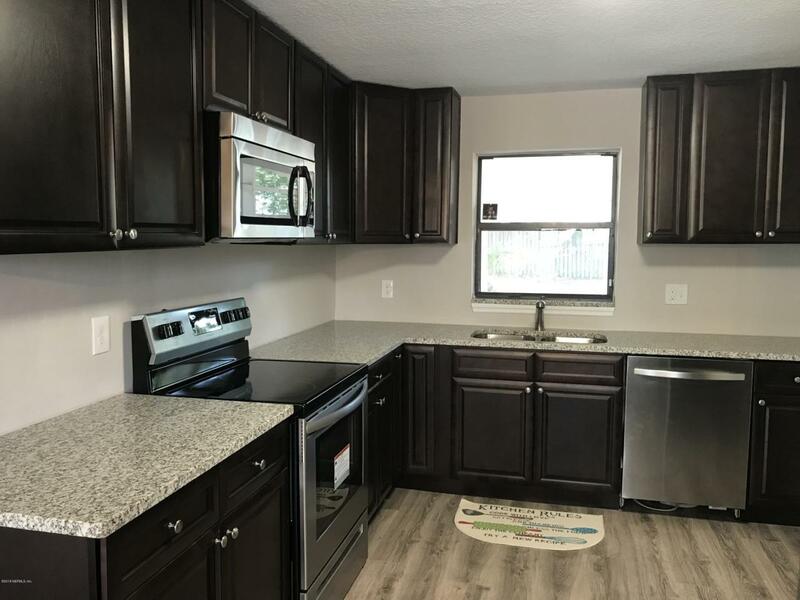 New espresso kitchen cabinets with granite countertops, new sink, faucet, garbage disposal, stainless steel appliances, fully remodeled master bathroom with new tiled shower & floor. New vanities, mirrors, lights & plumbing fixtures in both bathrooms. New carpet in all bedrooms, New light fixtures, new ceiling fans, and knockdown ceilings. New hot water tank & new 2.5 ton Goodman AC Unit. Large screened patio leading to large fenced back yard.